Editors Note: This review was updated on November 29, 2018 to reflect changes to the Ivacy app. The review score has not changed. When I first opened Ivacy’s Windows app I was struck by its cleanly designed interface, which is somewhat reminiscent of HotSpot Shield. Both apps use a theme that relies on various shades of blue and very clean icons and text. The Ivacy app’s left rail has eight options for navigation. 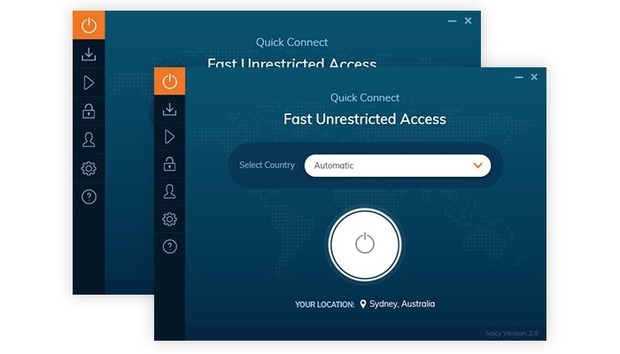 The primary VPN options are Smart Connect, Secure Download, Streaming, Unblocking, and Dedicated IP There are also options to access your account, the program’s settings, and a help and support section. 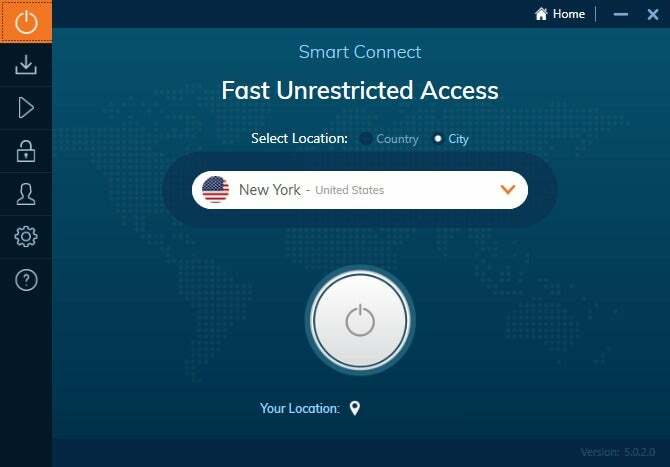 Smart Connect is just a basic VPN connection. You can choose your locations by country or drill down to specific cities within each country. There are 12 city locations to choose from for U.S. connections with one to three options for most other countries. Ivacy’s secure downloading option with integrated security scanning at the server level. 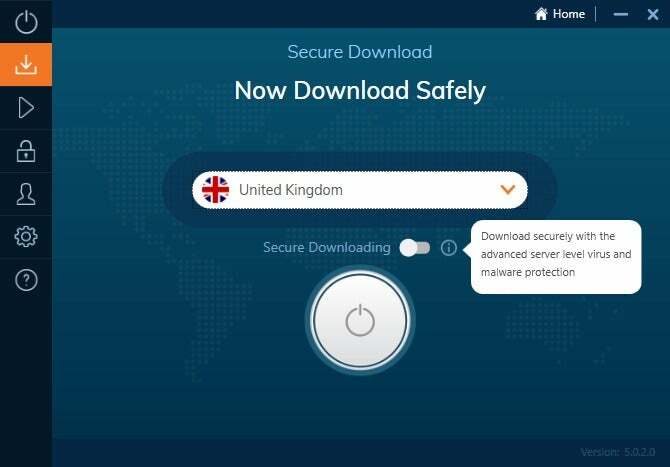 Secure Download is for peer-to-peer downloads as well as just general file and program downloading. This section has a security option that applies malware scanning at the server level to help avoid any problematic downloads. I didn’t have the chance to see how effective this secure download option is. 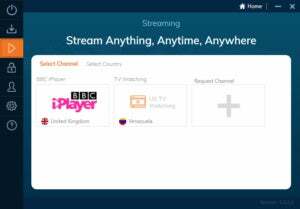 Streaming lets you choose your connection by country or by activity—dubbed “channels.” The latter lists all manner of overseas sites and TV channels to choose from including Netflix, Amazon Prime, and Hulu, as well as the major networks and tons of overseas content from CTV Network in Canada to RTE in Ireland. In my tests the feature didn’t work particularly well for U.S. Netflix. It appeared to work with the major networks including ABC, CBS, and NBC. YouTube Red also worked just fine, but Netflix results were mixed. It didn’t work on the servers specifically dedicated to Netflix, but it did on some of the other U.S. servers I tried. Finally, we have Unblocking, which is a service designed to get around corporate and national firewalls that might be preventing you from viewing certain content. One thing to note is that Ivacy uses virtual server locations. This is a not-uncommon practice where a server claims to be in one physical location but is actually somewhere else. An Ivacy spokesperson told me the company has 25 servers spoofing their location. Ivacy for Windows doesn’t have very many options to tweak. You can decide to launch Ivacy when Windows starts, and you can also auto connect to the VPN when Ivacy opens. It also supports IP and DNS leak protection, and an internet kill switch that disables all internet traffic from your PC when the VPN connection drops. Ivacy offers apps for Android, iOS, macOS, and Windows. There are also instructions to run Ivacy on Linux, a router, Kodi home theater software, and to connect consoles like the Xbox to the VPN via another device. An Xbox over a VPN is a nice option if you happen to play games with online competitors that like to DDoS your connection to mess with your ability to play. 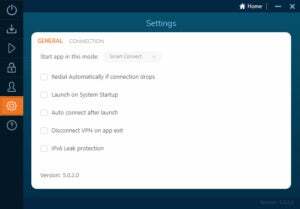 Ivacy also has a “split tunneling” option that allows you to run certain applications through the VPN and others through your regular IP address. The company says it was the first to introduce this feature to consumer VPNs back in 2010. Ivacy is priced at $40 per year and supports up to five simultaneous device connections. As far as performance goes, Ivacy scored good but not great speeds overall. Ivacy retained about 38 percent of the base speed on average across five different country connections. The UK connection was particularly good and Japan was surprisingly zippy. Germany, and the United States were also strong, but Australia wasn’t exceptionally fast. Ivacy puts the business address for its parent company as PMG Pte. LTD, 38 Beach Road #29-11 South Beach Tower Singapore 189767. Once again we’ve got a VPN with an exotic address. There aren’t many Ivacy employees on LinkedIn but those that are appear to work for the company out of the United Arab Emirates, as well as one person in Singapore. Previously there were also some employees working in Pakistan. The only information Ivacy wants from you is your email address, and the email addresses are dumped after 12 months of inactivity. Ivacy allows payments via a wide variety of methods including standard credit card and PayPal options. It also offers Bitcoin payments via BitPay, as well as a variety of other cryptocurrencies via CoinPayments. Overall, Ivacy is a competent service. The fact that a small number of servers may not physically reside in their listed location might bother some users, while others won’t be troubled by it. Pricing for Ivacy is good at $40 per year, speeds are about average, the addition of security scanning for the download service is nice, and split tunneling is a handy service if you want to watch Netflix on Firefox but tunnel the rest of your internet traffic through the VPN. But longtime readers will know that I’m not a fan of company leadership that prefers to remain in the shadows. That may be necessary in some cases, such as running a VPN out of China and Russia while actually living in those high-risk countries. That may in fact be the case here. Still, so many VPN services are up front about who they are, and in my opinion this is always better since private VPNs are a business that’s dependent on user trust. If Ivacy’s features appeal to you then that might outweigh these issues. But if it bothers you that the leadership of the company isn’t public about who they are, you’d probably do better to look elsewhere.